Bend Factory stores is a versatile Shopping center with big name brand outlets like Carters, Rack Room Shoes and GNC. Oregon grown businesses like Nike, Columbia and Pendleton as well as smaller local favorites, Like Runway Fashion Exchange, Learning Express Toys and Wild Oregon Foods. Big or small, you will find it all at Bend Factory Stores. 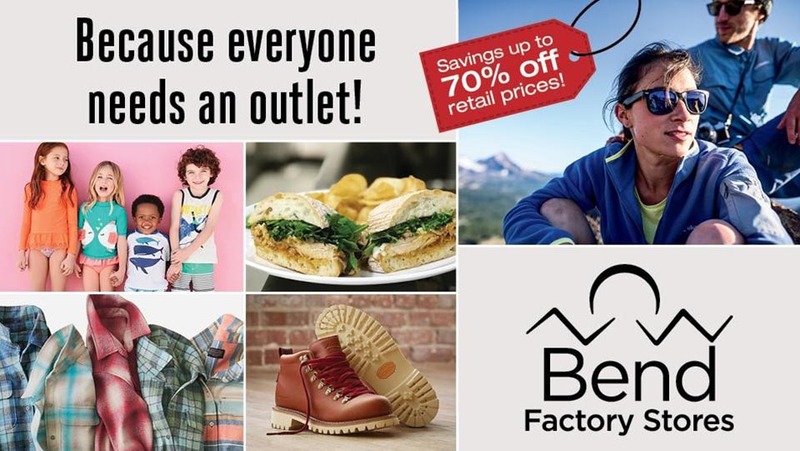 Visit us Online at bendfactorystores.com or find us on Facebook or Instagram.